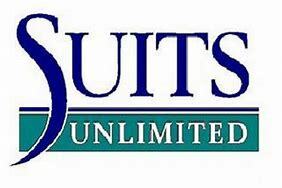 The Anderson School is thrilled to work with Suits Unlimited of Albuquerque in the creation of a professional closet. The professional closet, with the help of Suits Unlimited, gives Anderson students access to professional business attire at no cost. The closet includes a full-size run of men’s suits and accessories including belts and ties to help students who are unable to get their own clothes due to time or budgetary constraints. The School is working to find a community partner to offer similar resources for women. Suits Unlimited is a family owned and locally operated business. It is a one-stop shop when it comes to menswear and tailoring needs. Jim Knight, a long-time Anderson supporter, manages Suits Unlimited in Albuquerque and was instrumental in developing the partnership with the Anderson School. When it opens for business during the Spring 2019 semester, the professional closet will be open to all current Anderson School students. Anderson students can rent one jacket, one pair of pants, one belt, and one tie at a time. Rentals last for ten days. Dean Craig White says part of the educational mission of the Anderson School is helping students enter the professional world. "This closet gives students the opportunity to both learn about and have access to appropriate dress. These clothes will help give them confidence to start building their work success."